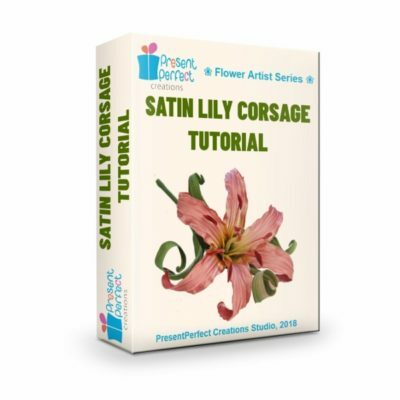 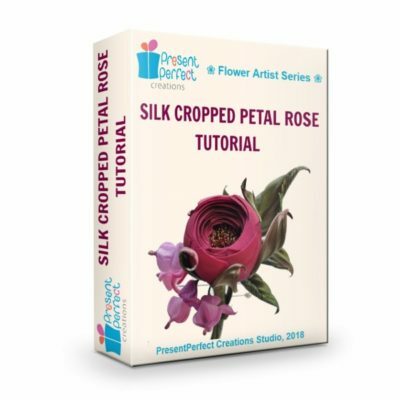 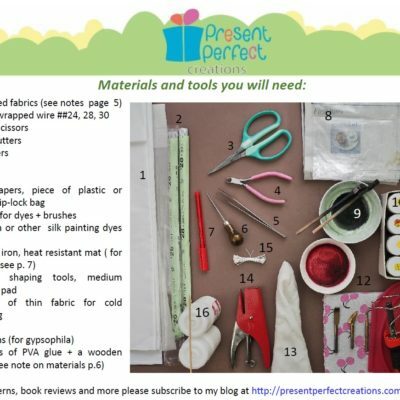 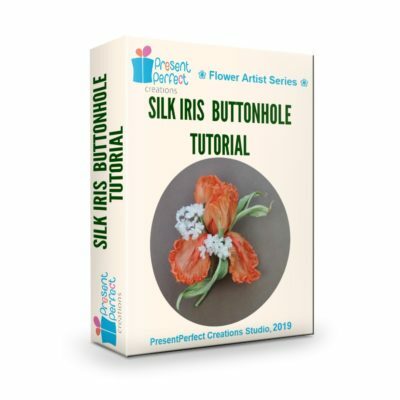 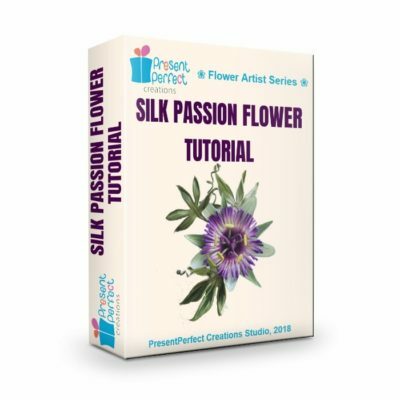 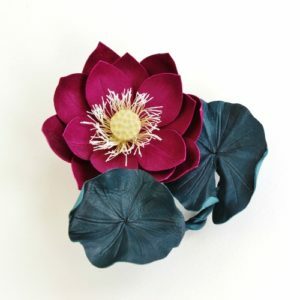 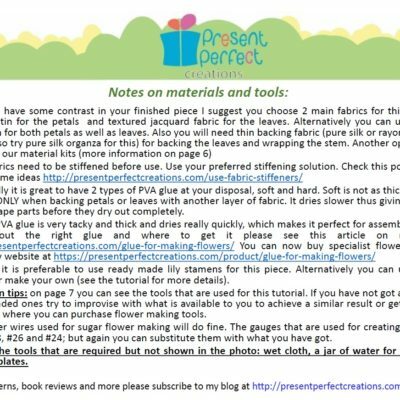 View basket “Silk Iris Buttonhole Tutorial” has been added to your basket. 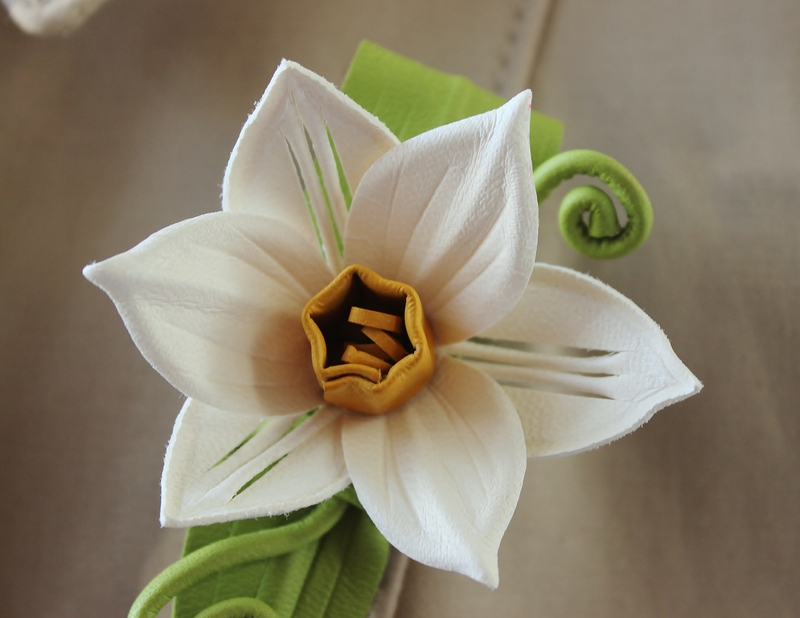 This stylised leather daffodil brooch is part of our collection of smaller, minimalist leather flower brooches. 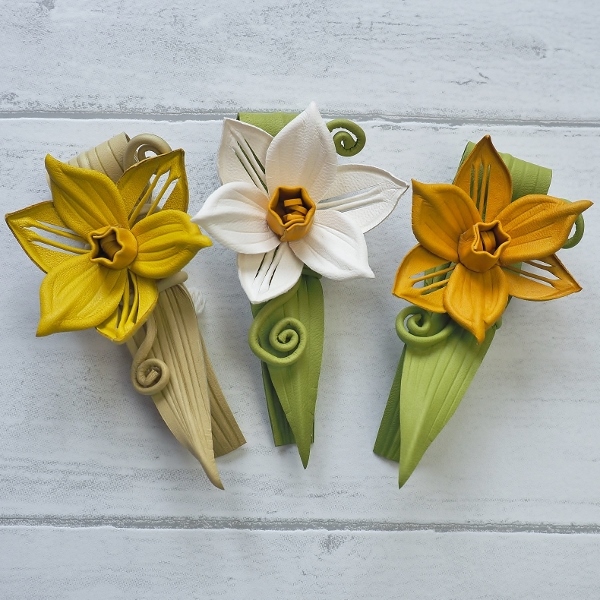 Crafted using thin genuine leather in warm colours the daffodil brooch is sure to brighten your day and lift your spirits even on a cold grey day. 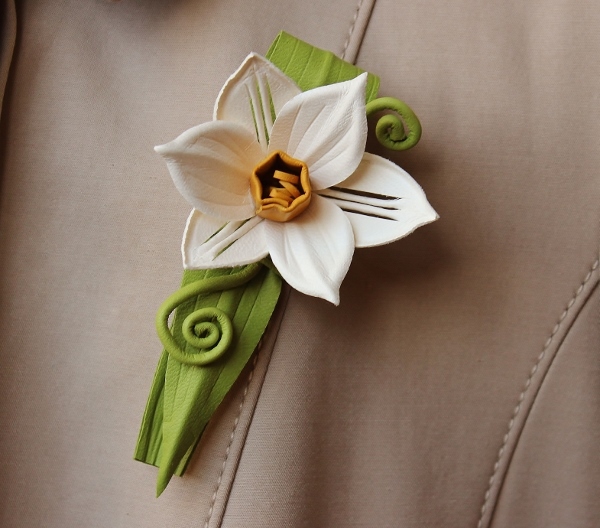 Just pin this handmade piece of spring to your trench coat and enjoy! 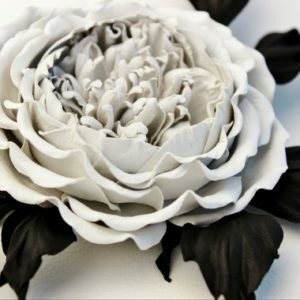 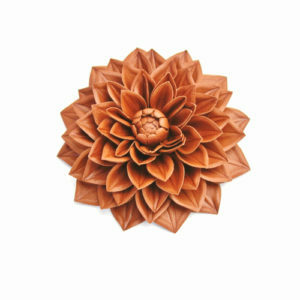 This leather brooch is an ideal present for a leather wedding anniversary which is the 3rd anniversary. 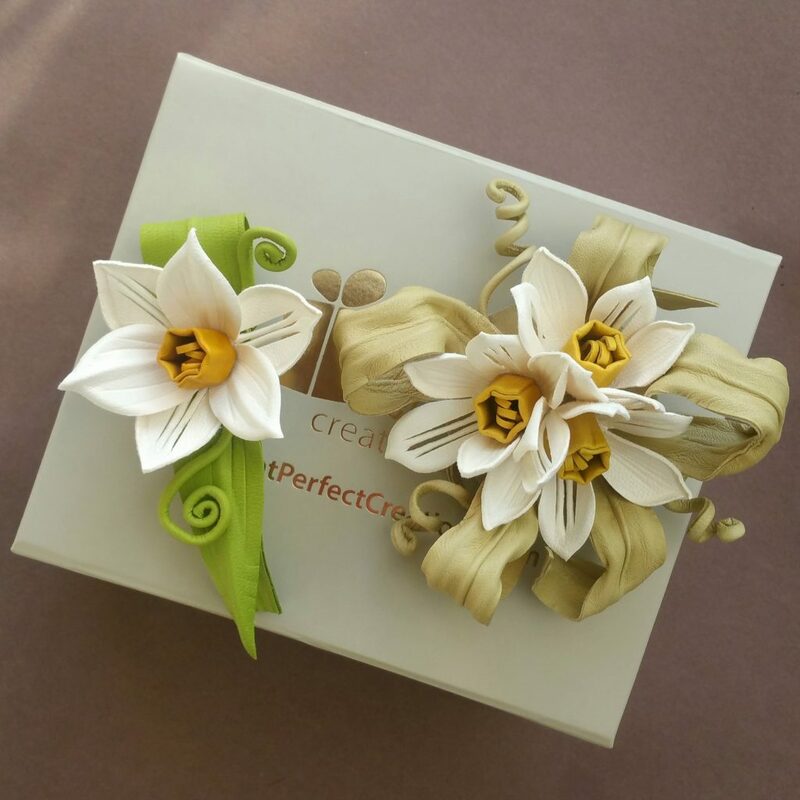 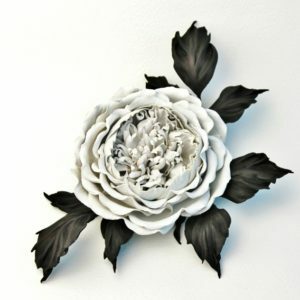 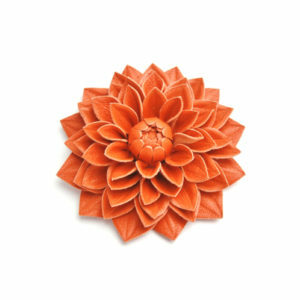 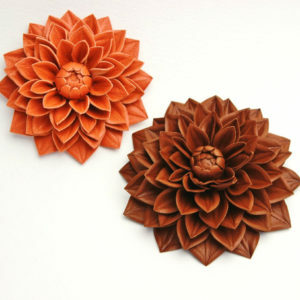 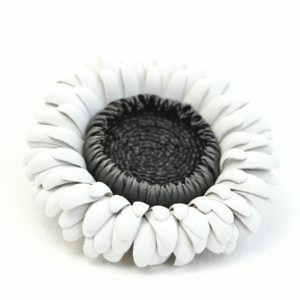 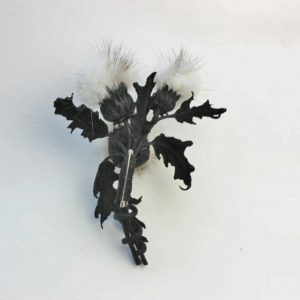 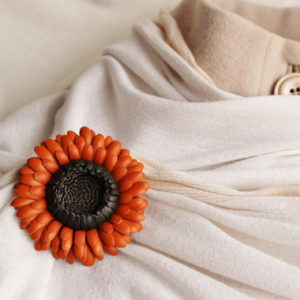 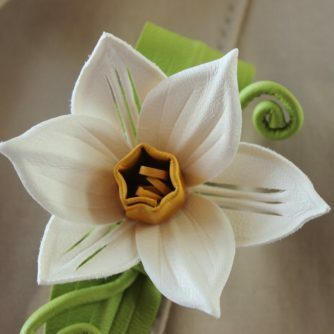 The leather daffodil brooch will make an unusual and lovely gift to you dearest Mummy or a close friend. In fact, anyone who loves this striking bloom, the herald of spring. If you prefer our 3 Daffodil Corsage as shown in the photo below please click here. 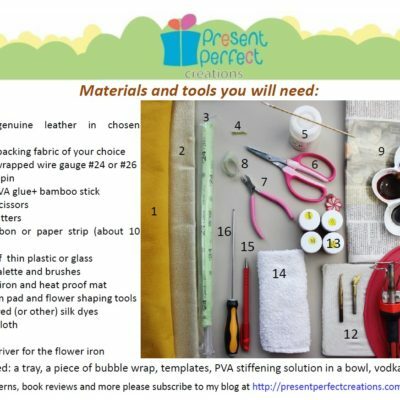 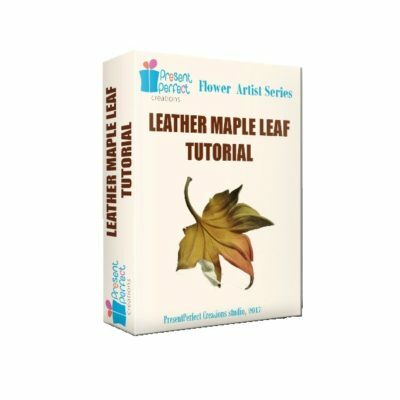 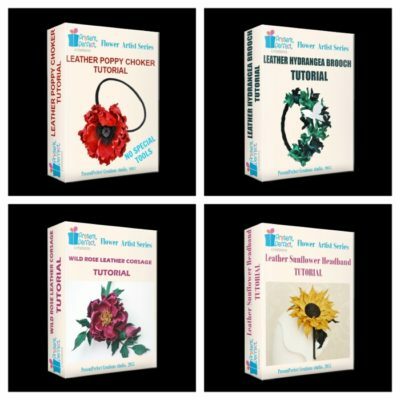 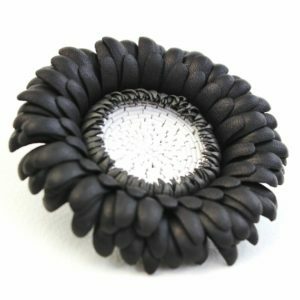 Detailed step-by-step leather tutorial for leather makers who wish to learn the secrets behind the stylised NO TOOL leather grape brooch. 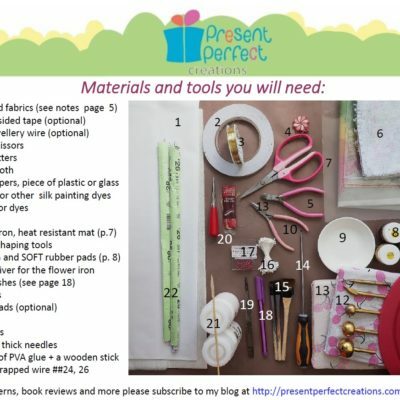 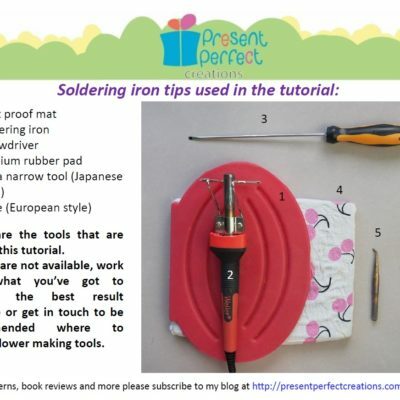 Perfect for beginners, fun for everyone!